Expression Web add-ins, or add-ons, are modules designed to extend functionality of Microsoft Expression Web. In Ajatix we have selected the most popular CSS / jQuery solutions on the web and have built Expression Web add-ins around them. CSS / jQuery menu, Lightbox, Image slider. Now any Expression Web user can easily incorporate these essential solutions into his pages by using the tools integrated directly into Expression Web. Create professional responsive touch-enabled CSS jQuery menus in a few easy steps. This powerful Expression Web Add-in completely automates the process of creating and managing professional horizontal and vertical CSS3 jQuery menus. CSS3 jQuery menus are modern web standard trusted by over 250.000 web sites world wide. With responsive jQuery menus you don't have to worry about browser or device compatibility issues. They just work. 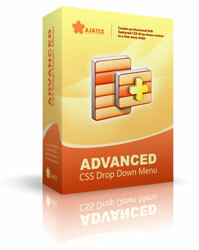 Create a lightweight and accessible CSS drop down menu in a snap. 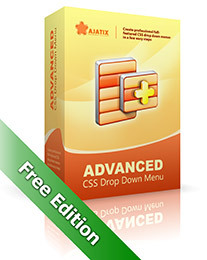 This free version of Advanced CSS Drop Down Menu Expression Web add-in has everything you need to create a modern CSS drop-down horizontal or vertical menu without writing a single line of code. 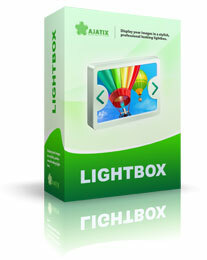 This Expression Web Add-in is the easiest way to add the most popular tool for showing images, the lightbox, to your web pages. Intuitive GUI, live WYSIWYG preview, preset themes, automatic thumbnails creator make setting it up a walk in the park. Responsive image slider with intrinsic support for mobile and touch devices. 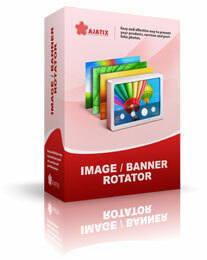 Image slider is one of the most popular and proven website tools. It is an easy and effective way of presenting your products, services and portfolio photos. Here in Ajatix we worked hard to make sure the slider meets all the latest requirements of the ever-changing web. Our slider automatically adjusts its width to match the device, reacts to touch events and supports swipe gestures. It is packed with features and is easier to insert - just grab your images, type in the descriptions, point the links and voila! As you would expect from an Ajatix product, it is fully integrated into Microsoft Expression Web, features an intuitive GUI with a live preview, and offers a lot of customization abilities. Add a dynamic map to your website. Show your business locations, addresses and events. Give driving directions to your customers and let them find the best routes to you. 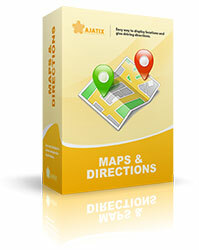 The Maps & Directions Expression Web add-in from Ajatix is the only true interactive maps add-in on the market. Equipped with a live map preview, it allows for quick click-on-the-map selection of locations and route points and lets you see what your map will look like as you edit it. Pan/zoom controls, information tooltips, turn-by-turn driving directions and much more. Most web sites have got Contact pages listing contact emails. Such email addresses listed in plain text are an easy game for spam bots and quickly end up in spam mailing lists. As time passes, the listed emails begin receiving more and more spam. 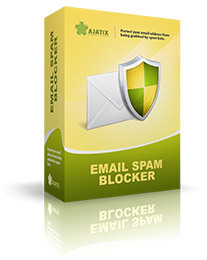 The Email Spam Blocker Expression Web add-in protects email addresses on web pages from being harvested by bots, whilst leaving them available to human web site visitors.